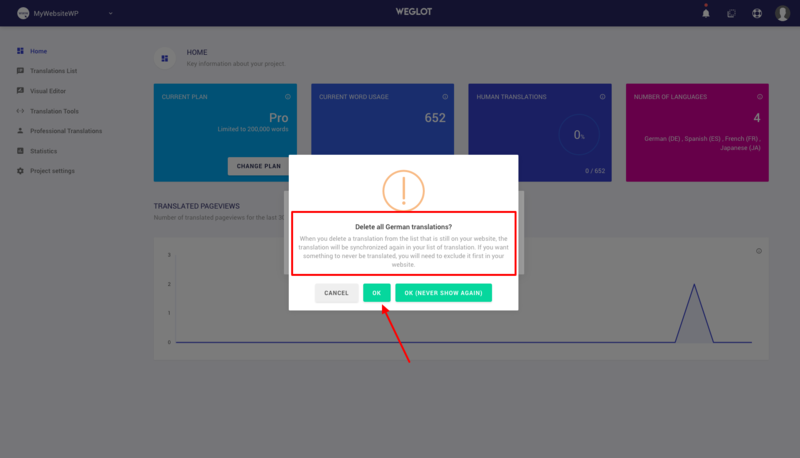 In this article, you will find how to remove a whole translated language in your dashboard. 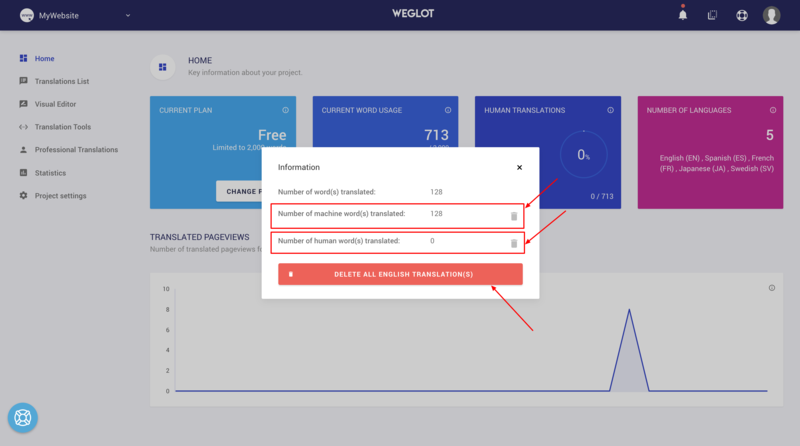 Using Weglot, there is a possibility to delete all translated words at once. 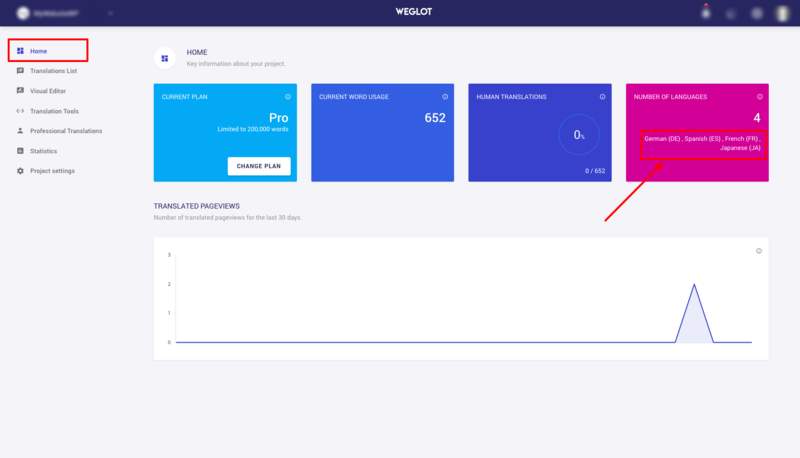 First, go to your Weglot Dashboard. Then, in the Home page, at the right, you can see a box "NUMBER OF LANGUAGES". Click on the language you want to remove. Now, you should see an information pop up with the number of words translated in the selected language. Note that if you choose "Delete all <language> translation(s)", after doing that it won't be possible to get back any human reviewed translations related to your removed languages.